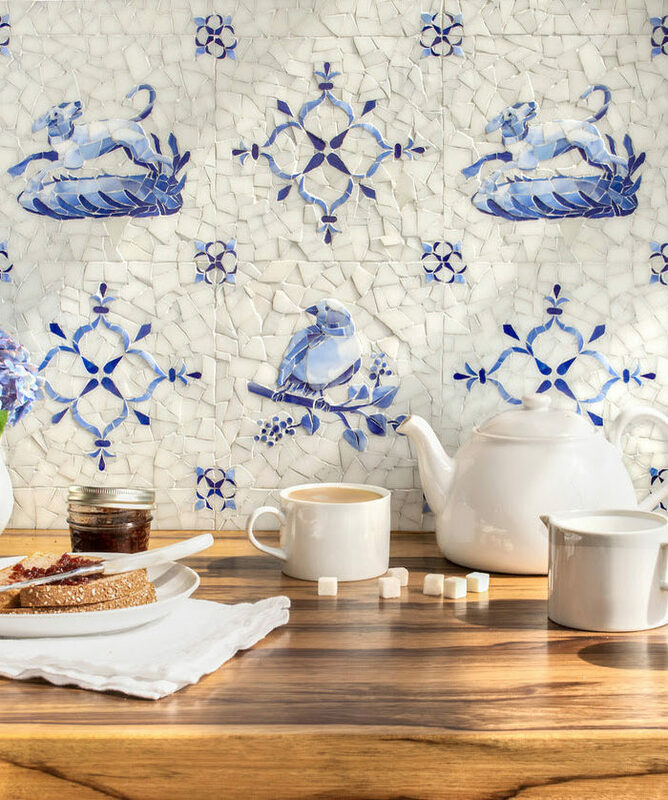 New Ravenna’s Semplice, a collection of 33 mosaic designs inspired by the transformation of pattern through color, is adaptable by nature. Semplice, which means “simple” in Italian, explores the creation of patterns in classic geometric shapes that become dimensional through the intentional use of color. Using black as a bold accent, the patterns evolve into dramatic combinations of color blocked stone. The use of contrasting stone colors imply an optical illusion. In a monochrome palette, the same shapes become more nuanced with subtle color variations caused by the veining inherent in natural stone. 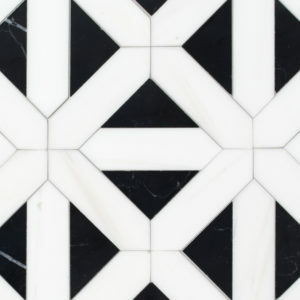 All of the mosaics in the Semplice collection can be installed on walls or floors, indoors or out. 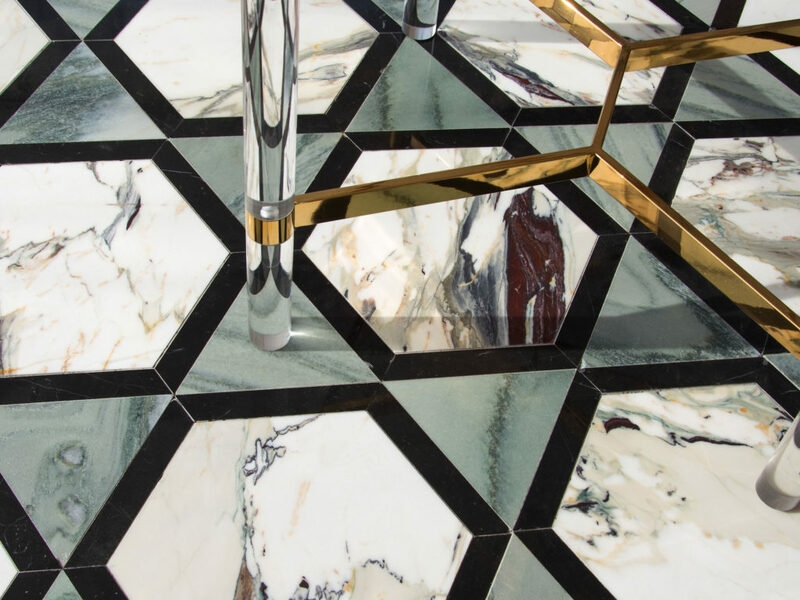 Addison, a waterjet cut stone mosaic, shown in polished Cirrus, Nero Marquina and Thassos, is part of the Semplice collection for New Ravenna. 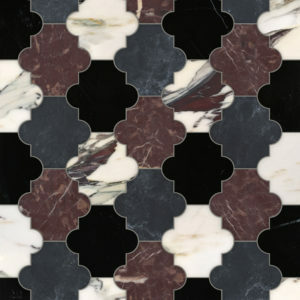 Andre, a waterjet cut stone mosaic, shown in polished Nero Marquina, Bordeaux and Plumeria with honed Orpheus Black, is part of the Semplice collection for New Ravenna. 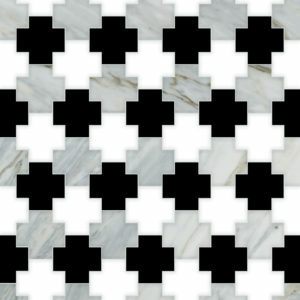 Joie Grand, a hand-cut stone mosaic, shown in polished Nero Marquina and Dolomite, is part of the Semplice collection for New Ravenna.